If I could only eat one meal for the rest of my life, it would have to be curry. From kormas, through to rogan josh and madras, and even the occasional vindaloo, I can’t get enough of that spicy stuff. Sheffield has some fantastic curry houses, but I do have a soft spot for Butlers Balti on Broad Lane. Luckily for me and my curry addition, Butlers is one of those places where the restaurant menu and the takeaway menu are exactly the same, so it’s easy for me to get my hands on the curry I crave. On this particularly grim and rainy Bank holiday weekend, the thought of stepping out of the house didn’t seem too appealing. Thankfully, my friends agreed – a takeaway night in it was! We placed our order online, and by the time wine had been handed out, and we’d decided which movie to watch, the food was already here. I’ve ordered from Butlers more times than I care to remember, and I’ve yet to wait longer than 30 minutes for my delivery – one time the food actually arrived within 15 minutes! It usually takes me longer than 15 minutes just to drive into the city center, so I have no idea how Butlers managed to pull that one off. It’s gotten to the point where I just assume my curry will arrive way before the estimated delivery time, and plan accordingly. Before the main event, we tucked into a selection of Indian starters. First up was a Prawn Puri, which is Indian flatbread served with a small portion of prawn curry. 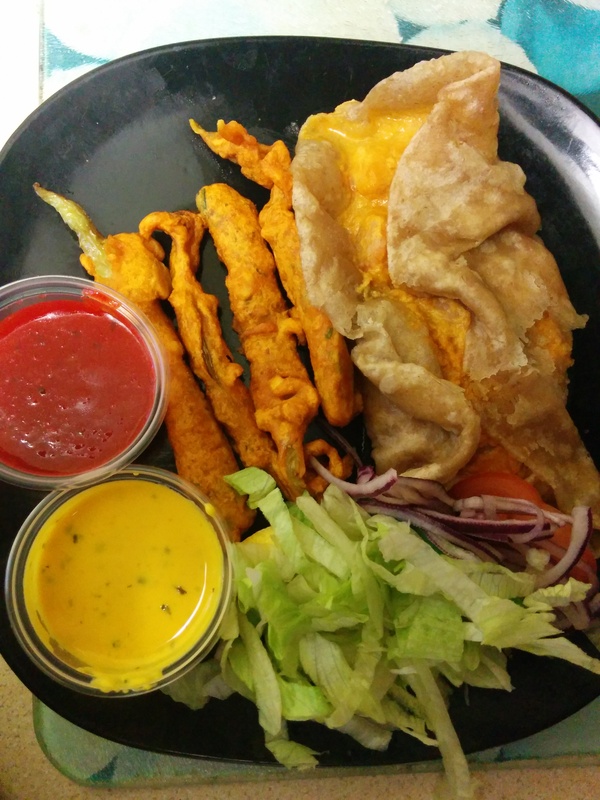 When you order your prawn puri, Butlers gives you the choice of a “creamy” or a “Bhuna” prawn puri (both are £3.50). Bhuna is a dry dish that’s prepared a bit like a stir fry, so we opted for the creamy version – because, surely, the best thing about Indian food, is the thick sauces? The creamy prawn puri lived up to its name, as those big, juicy prawns were covered in a thick sauce that tasted like super-strength coconut milk – I’ve had Thai curries and kormas that had less of a coconut flavour! Prawn puri with chilli pakora. The puri was so rich that, although I savoured every silky, calorie-packed mouthful, I was also relieved that I’d ordered a spicy main meal, rather than a creamy one. Following up this indulgent puri with something rich like a korma, would have been too much of a good thing. The fried Indian bread was tasty and grease-free; perfect for mopping up every last bit of that rich sauce. The prawn puri is a truly indulgent starter that’s perfect for those who love heavy, rich flavours. 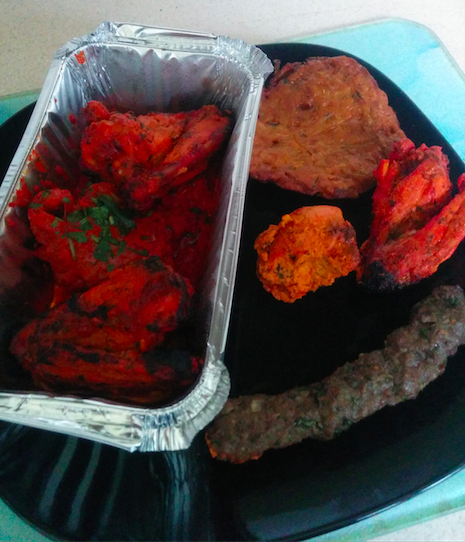 We’d also gone pakora-mad and ordered a duo of Chilli Pakora (£2.95) and Chicken Tikka Pakora (£3.50). The chilli pakora had a light, crunchy batter and packed a chilli punch, but the chicken tikka pakora was a completely different matter. The chicken was dry, and it was buried beneath a thick, hard batter. In future, we’ll stick to the chilli pakora! Prawn puri with chicken tikka pakora. Starters dispatched, it was time for the main event. I’d opted for a Balti Mixed Veg Rogan Josh (£6.25) with a portion of boiled rice (£2.10). For me, rice is one of those infuriating foodstuffs that I love, but can never get quite right; it’s either undercooked, or I leave it boiling too long and it turns to mush. Butlers has clearly mastered the art of cooking rice – even their plain old boiled rice is tasty! For me, the best thing about a mixed vegetable curry, is the variety. Every mouthful of Butlers’ vegetable balti is a different combination of potatoes, onions, green beans, peas, and carrots. All these veggies soak up that balti sauce, so they have a deep, satisfying heat. 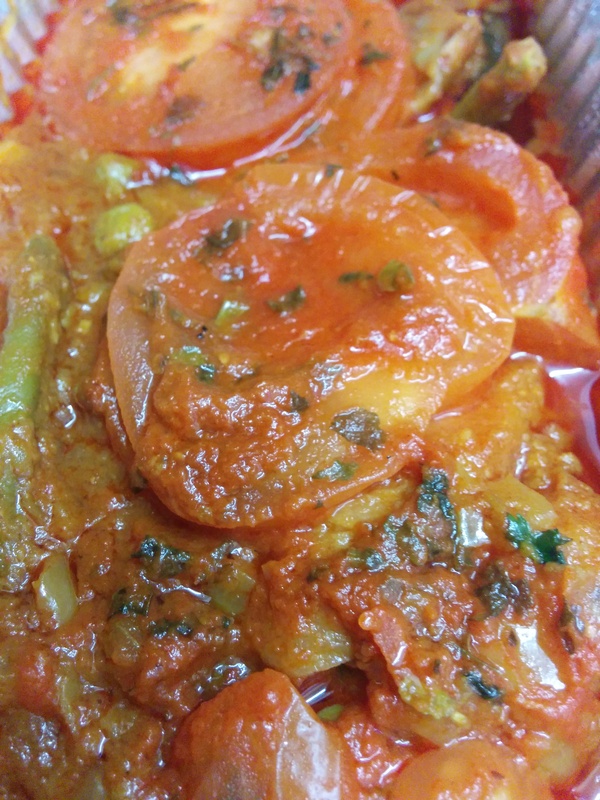 The big chunks of potatoes are particularly good, and taste not unlike Bombay potatoes. Our Indian feast included another Balti Mixed Vegetable curry, but this time with added paneer (£6.95). 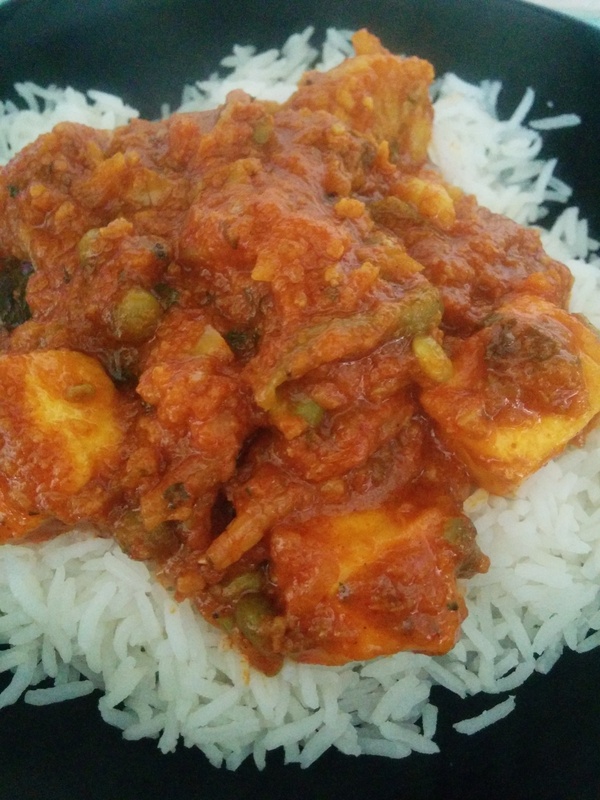 The first time someone served me paneer in a curry, I wasn’t sure what to expect – a cheese curry? Really? 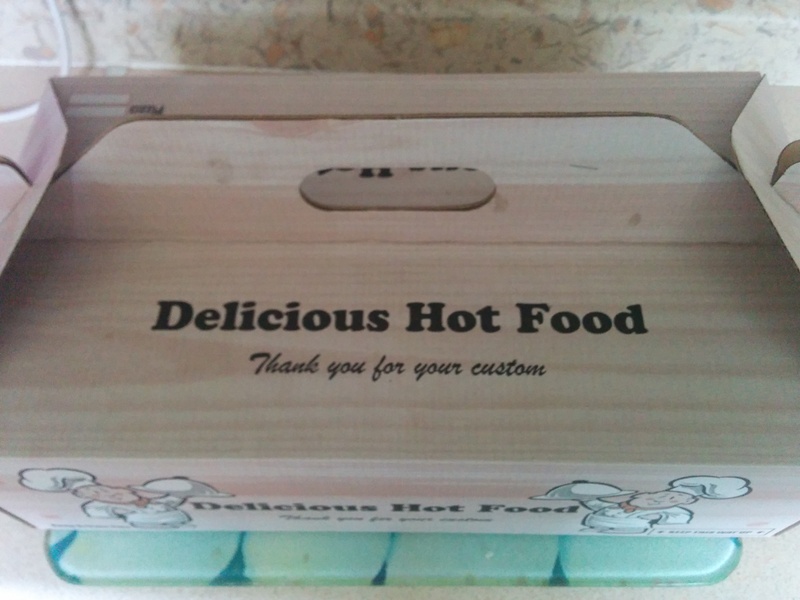 Trust me, it’s delicious, even if it does sound a bit strange! If you’ve never tried paneer, it’s a bit like a softer version of halloumi, and it soaks up the spices and herbs in curry sauce wonderfully. To say the mixed vegetable balti with paneer only cost 20p more than the regular vegetable balti, Butlers were generous with the paneer. My friend confirmed that these big chunks of paneer were delicious, and melted in the mouth. Next time, I’m definitely going to pay the extra 20p and get the paneer balti! But it wasn’t all about the vegetables, as the final member of our trio wanted to join in on the Butlers fun, but wasn’t in the mood for curry. 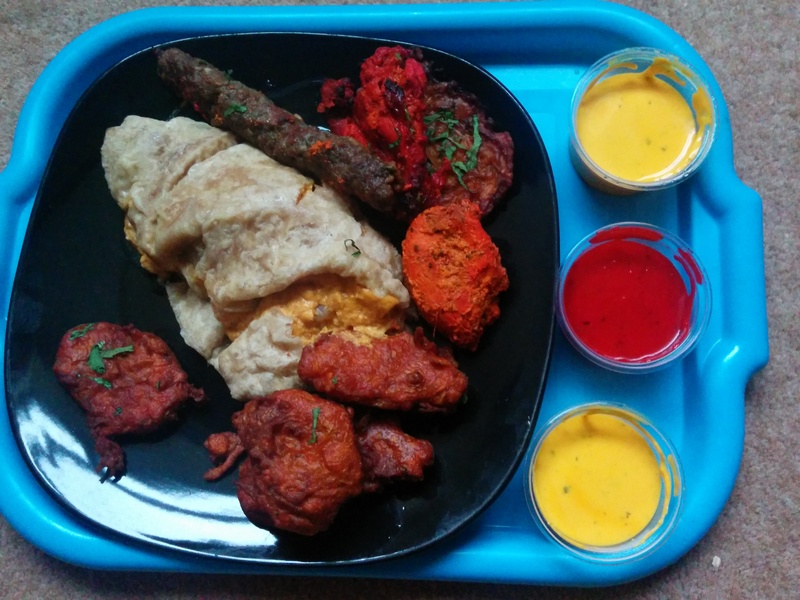 Instead, they created their own meat feast, by ordering a Chef’s Platter of tandoori lamb chops and tandoori chicken wings (£4.25), and a Mixed Starter of seekh kebab, chicken tikka, onion bhaji, and another portion of tandoori chicken wings (£4.50). The tandoori chicken wings and lamb chops came in a vibrant sauce that packed a good amount of heat, without being too spicy. The only problem was that the sauce was so bright, it stained everything it touched, which meant my friend’s meal concluded with them running their fingers under the tap, over and over again. Even then, that stubborn staining refused to shift completely. They may have enjoyed the tandoori sauce, but the sheer amount of staining would put them off ordering this meal in public – for them, this is messy food that’s better eaten in the privacy of your own home. There wasn’t a massive amount of meat on the chops and wings, but considering the price and the lashings of strong sauce, the Chef’s Platter is reasonable value for money. Onto the Mixed Starter, and the long, thin, dark seekh kebab may be the least visually appealing starter in history, but the meat tasted good quality (something you always worry about where kebabs are concerned!) and had a peppery heat to it. The mixed starter also included a very large onion bhaji, which looked more like a burger patty than your typical bhaji. This bhaji was packed with herbs and spices, and had a strong, onion tang. All in all, the Chef’s Platter and Mixed Starter meat feast went down well, and both would make a tasty snack or a starter. Whether I’m ordering in, or visiting Butlers in person, I’ve yet to have a bad meal. While we won’t be ordering the chicken pakora again, it’s impossible to pick fault with their curries. Butlers serve up sensible-sized curries that won’t have you groaning and clutching at your stomach, but won’t leave you feeling peckish, either. All the ingredients are fresh and tasty, and the curry sauces are delicious, rather than just spicy. Butlers clearly put the same care into their takeaway, as they do the food that’s served in their restaurant. Whether you’re ordering in, or visiting their restaurant in person, you can look forward to a top notch curry.